History is a disciplined process of inquiry into the past that develops students’ curiosity and imagination. Awareness of history is an essential characteristic of any society, and historical knowledge is fundamental to understanding ourselves and others. It promotes the understanding of societies, events, movements and developments that have shaped humanity from earliest times. It helps students appreciate how the world and its people have changed, as well as the significant continuities that exist to the present day. History, as a discipline, has its own methods and procedures which make it different from other ways of understanding human experience. The study of history is based on evidence derived from remains of the past. It is interpretative by nature, promotes debate and encourages thinking about human values, including present and future challenges. The process of historical inquiry develops transferable skills, such as the ability to ask relevant questions; critically analyse and interpret sources; consider context; respect and explain different perspectives; develop and substantiate interpretations, and communicate effectively. 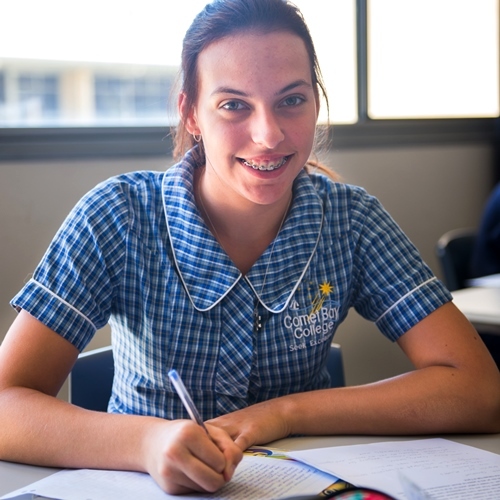 The curriculum generally takes a world history approach within which the history of Australia is taught. It does this in order to equip students for the world (local, regional and global) in which they live. 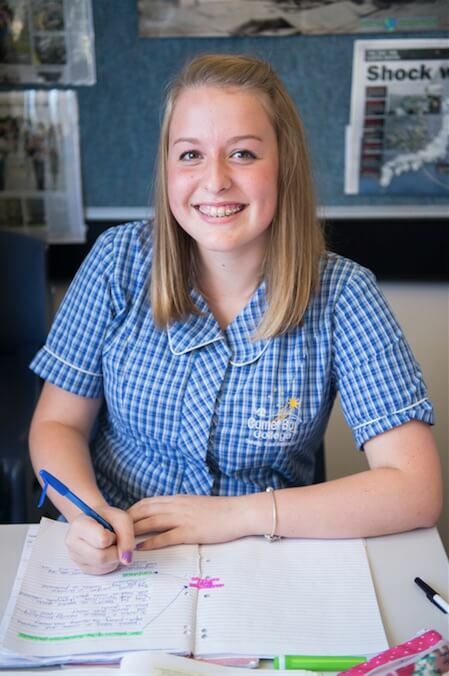 An understanding of world history enhances students’ appreciation of Australian history. It enables them to develop an understanding of the past and present experiences of Aboriginal and Torres Strait Islander peoples, their identity and the continuing value of their culture. It also helps students to appreciate Australia’s distinctive path of social, economic and political development, its position in the Asia-Pacific region, and its global interrelationships. This knowledge and understanding is essential for informed and active participation in Australia’s diverse society. The concept of place develops students’ curiosity and wonder about the diversity of the world’s places, peoples, cultures and environments. Students examine why places have particular environmental and human characteristics, explore the similarities and differences between them, investigate their meanings and significance to people and examine how they are managed and changed. Students use the concept of space to investigate the effects of location and distance on the characteristics of places, the significance of spatial distributions, and the organisation and management of space at different scales. Through the concept of environment students learn about the role of the environment in supporting the physical and emotional aspects of human life, the important interrelationships between people and environments, and the range of views about these interrelationships. Students use the concept of interconnection to understand how the causal relationships between places, people and environments produce constant changes to their characteristics. Through the concept of sustainability students explore how the environmental functions that support their life and wellbeing can be sustained. The concept of scale helps them explore problems and look for explanations at different levels, for example, local or regional. The concept of change helps them to explain the present and forecast possible futures. 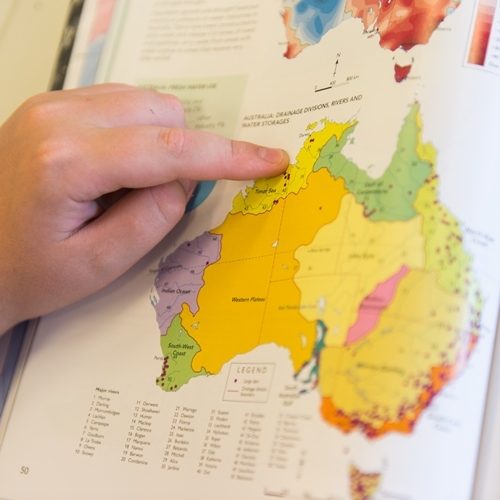 Geography uses an inquiry approach to assist students to make meaning of their world. It teaches them to respond to questions in a geographically distinctive way, plan an inquiry; collect, evaluate, analyse and interpret information; and suggest responses to what they have learned. They conduct fieldwork, map and interpret data and spatial distributions, and use spatial technologies. Students develop a wide range of general skills and capabilities, including information and communication technology skills, an appreciation of different perspectives, an understanding of ethical research principles, a capacity for teamwork and an ability to think critically and creatively. These skills can be applied in everyday life and at work. The study of economics and business develops the knowledge, understanding and skills that will inform students about the economy and encourage them to participate in and contribute to it. The curriculum examines those aspects of economics and business that underpin decision-making at personal, local, national, regional and global levels. 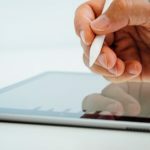 Students learn to appreciate the interdependence of decisions made, as well as the effects of these decisions on consumers, businesses, governments and other economies. The Economics and Business curriculum is informed by four organising ideas that help in developing students’ economics and business knowledge, understanding and skills: resource allocation and making choices; the business environment; consumer and financial literacy; and work and work futures. 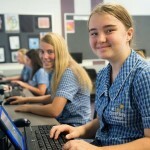 At the same time, students are exposed to and encouraged to develop enterprising behaviours and capabilities such as embracing change; seeking innovation; working with others; showing initiative, flexibility and leadership; using new technologies; planning and organising; managing risk; and using resources efficiently. In studying economics and business students will develop transferable skills that enable them to identify contemporary economic and business issues or events; investigate these by collecting and interpreting relevant information and data; apply economic and business reasoning and concepts to make informed decisions; and reflect on, evaluate and communicate their conclusions. By developing economics and business knowledge, understanding and skills, students will be better placed now and in their adult lives to actively and effectively participate in economic and business activities. This will enable them to contribute to the development of prosperous, sustainable and equitable Australian and global economies, and to secure their own financial wellbeing. Civics and Citizenship is essential in enabling students to become active and informed citizens who participate in and sustain Australia’s democracy. Through the study of Civics and Citizenship, students investigate political and legal systems, and explore the nature of citizenship, diversity and identity in contemporary society. 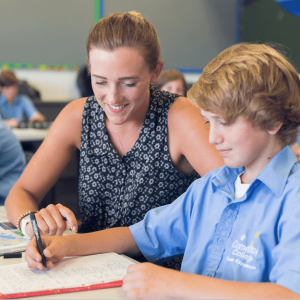 The Australian Curriculum: Civics and Citizenship provides opportunities to develop students’ knowledge and understanding of Australia’s representative democracy and the key institutions, processes, and roles people play in Australia’s political and legal systems. Emphasis is placed on Australia’s federal system of government, derived from the Westminster system, and the liberal democratic values that underpin it such as freedom, equality and the rule of law. The curriculum explores how the people, as citizens, choose their governments; how the system safeguards democracy by vesting people with civic rights and responsibilities; how laws and the legal system protect people’s rights; and how individuals and groups can influence civic life. The curriculum recognises that Australia is a secular nation with a multicultural and multi-faith society, and promotes the development of inclusivity by developing students’ understanding of broader values such as respect, civility, equity, justice and responsibility. It acknowledges the experiences and contributions of Aboriginal and Torres Strait Islander Peoples and their identities within contemporary Australia. 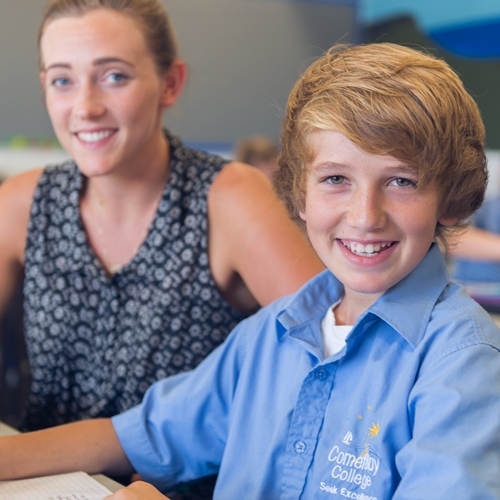 While the curriculum strongly focuses on the Australian context, students also reflect on Australia’s position, obligations and the role of the citizen today within an interconnected world. Through the study of civics and citizenship, students can develop skills of inquiry, values and dispositions that enable them to be active and informed citizens; to question, understand and contribute to the world in which they live. The curriculum also offers opportunities for students to develop a wide range of general skills and capabilities, including an appreciation of diverse perspectives, empathy, collaboration, negotiation, self-awareness and intercultural understanding. The Civics and Citizenship curriculum aims to reinforce students’ appreciation and understanding of what it means to be a citizen. It explores ways in which students can actively shape their lives, value their belonging in a diverse and dynamic society, and positively contribute locally, nationally, regionally and globally. As reflective, active and informed decision-makers, students will be well placed to contribute to an evolving and healthy democracy that fosters the wellbeing of Australia as a democratic nation. Psychology is the scientific study of how we think, feel and act. This course is designed to integrate the understanding of scientific principles, the acquisition of psychological knowledge and the application of these in an enjoyable and contemporary forum. Students learn about major psychological models and theories and the methods used to investigate within the discipline of psychology. Their understanding of how these models and theories are applied in everyday settings will help them understand themselves and their world. Students are involved in scientific investigations and the analysis of data to illustrate how empirical procedures are used to examine phenomena such as memory, attention, attitudes, personality and group behaviour. Developing this foundation of scientific method and critical thinking are valuable skills students can acquire and apply throughout their study, work and everyday lives.